We have teamed up with a friend of Rodney to offer aromatherapy oils for your bunny. Linda Game is a qualified aromatherapist and has just started her own small enterprise offering essential oils for sale. Imagine our surprise to learn that aromatherapy oils are as good for your bunny as they are for us humans. Interested...then read on. 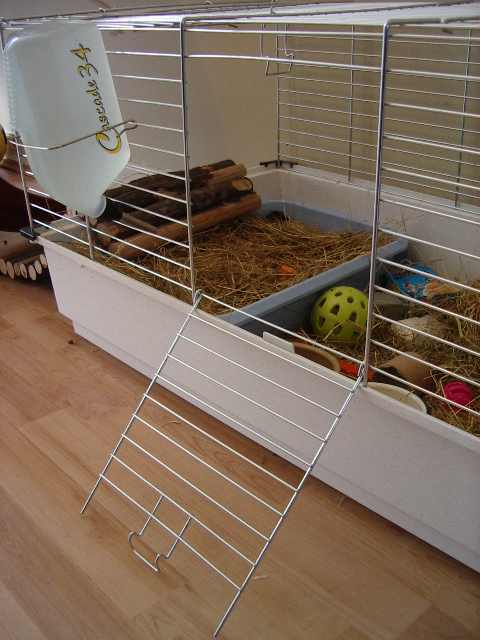 In an ideal environment our rabbit hutch should always be clean as hygiene is of the upmost importance. However, straw can get wet with urine together with faeces which if left can rot causing bacteria and its ensuing problems, so always remember to clear the hutch regularly and try adding 10 drops of Tea Tree or Eucalyptus essential oil to a pint of water when you next clean it out, to help prevent fleas. Try 1 drop of Tea Tree, Peppermint or Eucalyptus essential oil, diluted in 10 ml of base oil or olive oil, massage into fur on back and chest area. Use Tea Tree essential oil as an antiseptic 1 – 5 drops of Tea Tree Oil to 15 ml of warm water, or 1 drop to 10 ml of olive oil and apply with cotton wool to the affected area 2 – 3 times per day, to stop infection. If wound is severe, consult a qualified vet. Do you have a nervous or hyperactive bunny or do you need to go on holiday and move your pet into a new enviourment. Lavender essential oil is very calming and can help in these situations. Try 1 drop of Lavender essential oil in a 10ml base oil or olive oil and massage into the fur on his or hers back. 1. Always carry out a patch test on your rabbit first as a sensitivity test, to do this the following steps should be taken: Apply diluted oil (1 drop to 10 ml of base oil or olive oil), to an area of a 1p piece, cover with a plaster and leave for 24 hours, if no reaction it should be safe to use. 2. Remember when using essential oils always avoid the eye area. It should be noted that the author does not accept responsibility for adverse reactions by not following the guidelines or inappropriate usage and/or the usage of inferior quality oils. Do you want to try aromatherapy for your Rabbit? Postage on orders between 1 to 4 bottles is 50p so please add this to your order. Orders and deliveries can only be made within the UK.